A Quick Look Back At The Three Top Male Rookie Groups Of Kpop 2015. Any retrospective review is somewhat tainted by what we know now, however, that doesn’t mean that there isn’t any value in looking back.2015 was a year dominated by BigBang, it also was a good, if not great, year for Kpop in general, and for some rookie groups in particular. 2015 saw classic groups such as SHINee who have a huge fan following release new singles, along with newer fan favorites such as EXO, BTS, and Got7. In a year so full of quality Kpop it is hard to imagine any rookie groups actually standing out from the crowd. In my opinion 3 groups did in fact manage to do just that. Seventeen, MonstaX and iKon all distanced themselves from the rest of the year’s rookie groups. They produced multiple songs, appeared on shows such as Weekly Idol and After School Club, and Seventeen and iKon even held sold out concerts. They gathered large groups of fan followers and won awards. All in all they managed to stand out in a year saturated with high quality music, lyrics, choreography, and charisma. It is hard nowadays to define groups by their official debut dates because so many groups have soft debuts before their official debut date. Sometimes a long time before then. It has been said that four years of careful planning occurred before Seventeen’s official debut with them even having a web TV show beginning in 2013 so then are they really rookies? Monsta X was seen on the show No Mercy late 2014 and iKon appeared on 2 reality survival shows, Win:Who is Next and Mix & Match before their official debut. I’ve decided to loosely use their official debut dates along with when they actually hit the scene as it were, so they might not count as 2015 rookies to everyone if you consider their pre debut experiences. Seventeen, a 13 member group under Pledis Entertainment burst onto the scene in May 2015 with their first album, 17-Carat, with the title track Adore U, followed by Manse. The album 17-Carat was the longest charting kpop album of 2015 on Billboard’s World Album chart. They were also the only rookie group to make it onto Billboard’s “Best 10 Kpop albums of 2015.” The group is made up of a fairly even mix of pop vocalists and rappers, with certain members being designated as a performance unit. With 13 members you would perhaps think that some members would get very little singing or on camera time but they seem to have managed to not slight any members too much. The members are all clean cut and attractive, and cute, and sweet, and all those attributes young female Kpop fans look for, but they also have talent. This is what has, and hopefully will continue to, set them apart from so many cookie cutter cute young idol groups. Woozi is credited with writing and producing Adore U, and Hoshi is said to have come up with the choreography for the MV. The group does amazingly well with said choreography, especially considering the number of members, and they make it look easy. Seventeen performed well on many levels last year and seem to be continuing to do so into 2016. MONSTA X is a seven member group under Starship Entertainment. They were a product of a rather tough reality show called No Mercy. The fact that each member survived the show is a testament to their determination as well as their talent. Their first release was in May 2015 and was the song Trespass. If Seventeen is the type of group your mother would like you to watch then the rawness and high octane energy of Monsta X is probably not going to be her preference. They followed up with Rush which showed some more of their colors and allowed some of their cute side to show through. Later in the year the MV for Hero was released and then a dance practice MV for Amen debuted in very early 2016. Their gift to their fans of a Halloween themed dance practice video was a nice touch. 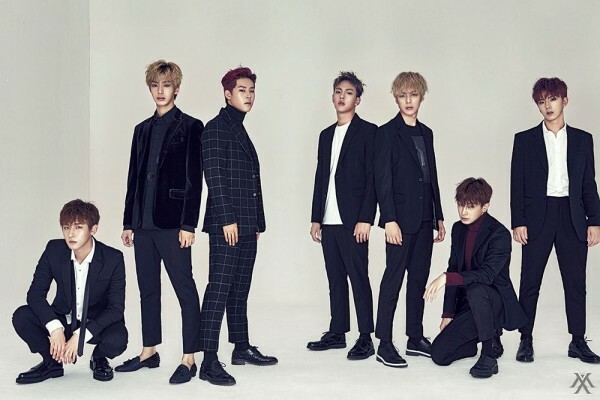 While their songs didn’t necessarily chart very well their talent was recognised by them winning various awards including the Golden Disk Awards “Next Generation Artist” and Mnet Asian Music Awards “Next Generation Asian Artist.” I can only see Monsta X continuing to improve, but do foresee some highs and lows as they try out new approaches to how to succeed in the often cookie cutter world of Kpop, different is good, too different not so much. iKon a group forged by fire. If Monsta X had a hard time with the reality survival show No Mercy, then the young men who finally ended up becoming iKon had a harder row to hoe, they had to survive not just one, but two reality survival shows, Win:Who is Next and Mix & Match. Yang Hyun Suk, the founder and head of YG Entertainment, the second largest entertainment agency in S. Korea is not known for being easy on his trainees. That harsh training, however has produced a high caliber group of young men who I think will see long term success. YG fosters talent in a way unlike many of the other agencies and he encourages his artists to write and compose right from the start. iKon debuted with My Type in September 2015. My Type did remarkably well capturing the Gaon Triple Crown for week 39 of 2015. It was a surprising lyrical song and it stayed with you for a while after hearing it. In October Rhythm Ta was released and won on Mnet’s M!Countdown. Other songs such as Apology and Anthem followed with reasonable success and finally right at the end of 2015 they released Dumb and Dumber which is a personal favorite. (One of the things I love about Kpop are the wtf MV’s.) iKon held a sold out concert to 13,000 fans on Oct.3rd 2015, which is a remarkable feat for a rookie group, they also held fan meetings in Japan to help foster their overseas presence. With their talent and determination and the backing of YG I can’t see anything but continuing success for iKon. If you agree or disagree or think a different group deserves recognition please post in the comments below. You might also enjoy Best Kpop Male Rookies for first half of 2016, and Return of the 1990s Kpop Groups. ← Recipe: Korean Spicy Marinated Pork.